Over at The Wrap they’re talking about three new animated features that Paramount Pictures have announced for their upcoming film line-up. One in particular should be of note to furry fans — especially since we’ve talked about the source material before. 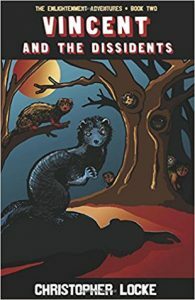 Monster on the Hill is a film adaptation of the graphic novel by Rob Harrell. Paramount’s description goes like this: “In a world where monsters are tame and monster wrestling is a popular sport, teenage Winnie seeks to follow in her father’s footsteps as a manager by turning an inexperienced monster into a contender.” That’s a little bit different than the original storyline, so we’ll see how it goes. This we got from Cartoon Brew: “Monster on the Hill will be helmed by Bradley Raymond, a veteran director of direct-to-video Disney fare (The Hunchback of Notre Dame II, The Lion King 1-1/2, Tinker Bell and the Great Fairy Rescue) from a screenplay by Matt Lieberman (upcoming The Addams Family, Dr. Dolittle: Tail to the Chief) and Etan Cohen (Men in Black 3, Tropic Thunder, Madagascar: Escape 2 Africa). 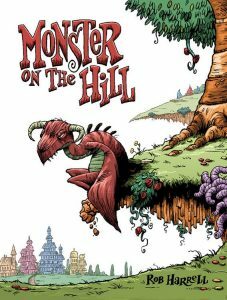 Monster on the Hill will be produced by ReelFX (Free Birds), which first announced it was developing the project back in 2015, and Walden Media.” Look for it in 2020. Autumn Frederickson is another fantasy artist whose work involves a watercolor style — and lots of animal characters. “Autumn has been creating fantasy worlds since childhood. 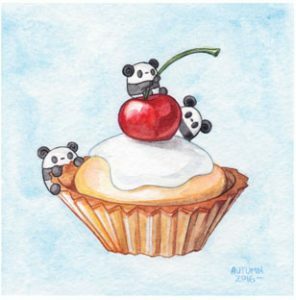 As she got older, crayon scribbles of unicorns gave way to stylized watercolor paintings of a variety of pop culture characters, wildlife, and the occasional yeti.” Recently, she’s been branching out with a new project she calls Pocket Pandas. She’s still working up a full web site for the various panda products she plans to produce, but so far the web site already has many of her designs up. Keep checking to find out when she has more. 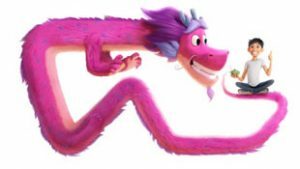 Here’s a new animated feature in the works we found out about through Animation World Network. “Timeless Films will begin selling worldwide rights to Rodrigo Pérez Castro’s upcoming animated feature Koati, created and produced by Anabella Sosa Dovarganes from Upstairs Productions and Los Hijos de Jack Productions, at the upcoming Cannes International Film Festival. Golden Globe and Primetime Emmy award-nominee Sofia Vergara (Modern Family), is attached to star and will executive produce… Koati is an animated comedy film starring three unlikely heroes: A free-spirited coati, a fearless monarch butterfly, and a hyperactive glass frog who embark on a glorious adventure to stop a wicked coral snake (Vergara) from destroying their homeland and friends. 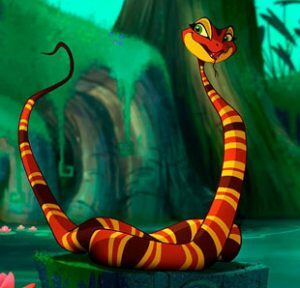 ‘Koati is an invitation to celebrate, for the first time in an animated film, the magical realism of the Latin American jungles, of the Amazonian rainforest, and the fun, exotic creatures that call it home,’ says Vergara, whose voice is heard in The Smurfs and Happy Feet 2. ‘It’s a coming-of-age comedy starring a cool and real family of animals the world needs to meet. '” The article tells us to look for it in 2019. And more kitty art, courtesy of artist Kevin Chan. 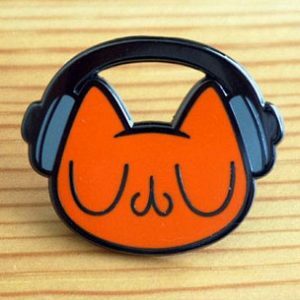 According to his web site, HeyItsMeu.com, “Kevin Chan is a Los Angeles-based illustrator, designer and multidisciplinary maker.” In spite of the title he’s chosen, he doesn’t only do cats — you’ll find dogs, bears, sheep, and monkeys there too. Many of them available on pins, plushies, prints, and other items that he sells through his Etsy store. Nellie Le is another artist with a watercolor style and a very straightforward cartoony look — which she puts forward to good effect. 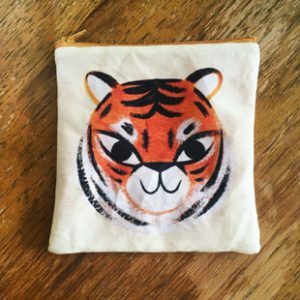 At her web site she shows off her latest paintings and prints, but as you can see at her Shopify store she also offers her art on a variety of buttons, bags, pillows, and other household goodies. And, as you can see, many of her items are selling out fast! Jen Ena is another artist we met at WonderCon (it’s good for those!) As you’ll see on her web site she specializes in highly-stylized fantasy portraits of fairy folk and magical women. 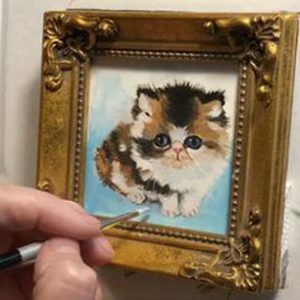 But, if you follow the links to her “Miniatures”, you’ll see her other skill: Creating really, really small paintings of kittens, little dogs, and other fuzzy things. Many of which you can purchase at her Big Cartel store. Braden Duncan is an illustrator who creates watercolor-style works under the name Clockwork Art. 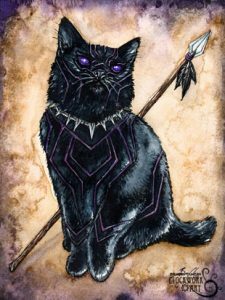 According to her web site, her main artistic muse is a black kitten named Diesel. The kitten certainly turns up in much of her artwork! (There are a pair of grey kittens who just joined the household, and they’ve been making appearances too.) She also has an affinity for birds — and, as you can probably guess from her moniker, a thing for steampunk. Much of her work is available as prints or ‘fridge magnets from her Etsy Store.